Meeting in Hoi An, Vietnam, from the 13th to the 15th of September 2003, to take part in the International Symposium on the Conservation of Cultural Heritage Sites and International Cooperation organized to commemorate the 30th anniversary of the establishment of diplomatic relations between Japan and Vietnam. Preface: The The Hoi An Declaration on the Conservation of Historic Districts in Asia (2003) was adopted in Hoi An, Vietnam, from the 13th to the 15th of September 2003. 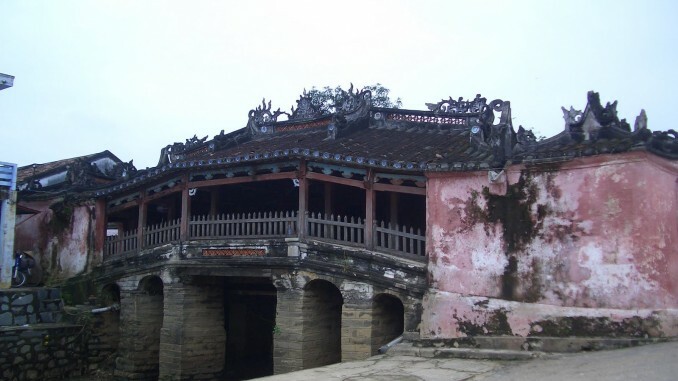 Benefiting from the particular context provided by the international recognition of the universal significance of Hoi An, an ancient port town inscribed on the World Heritage List in 1999 as an illustration of historical relations between countries in Asia and peaceful international cooperation. Taking note of the efforts made by the authorities of the Government of Vietnam, of the Quang Nam Province and the City of Hoi An to improve the state of conservation of this site exposed to severe environmental conditions of heat and high humidity and termite infestation, particularly challenging for numerous historic wooden buildings in the town. Thanking the organizers for their efforts in providing an opportunity for the fruitful sharing of knowledge and exchange amongst specialists, managers and researchers from Vietnam, Japan and other countries as well as representatives of International organizations. The participants of this International Symposium adopt the following Declaration of principles and recommendations, addressing them to National and Local authorities as well as institutions and international organizations. Sustaining Local, Interdisciplinary and International Cooperation. In conclusion, participants in the Hoi An International Symposium on the Conservation of Cultural Heritage Sites and International Cooperation, wish to reaffirm the value of such meetings in developing better conservation practice and professional networks in Asia. They call for the wide dissemination of the Hoi An Declaration so that the principles it expresses can contribute to the improvement of the conservation of historic districts in Asia and to the development of regional networks, particularly of historic districts in Asia. The International Symposium on the Conservation of Cultural Heritage Sites, Hoi An, Vietnam, 13-15 Sept. The declaration defines historic districts as historic villages and city quarters, constitute a major part of the living cultural heritage of Asian countries, including wooden architectural heritages. It shares experiences such as Hoi An provide useful lessons and examples that should be shared amongst authorities and professionals of the various disciplines involved in the management of historic districts. It encourages to use traditional knowledge and ingenuity to provide continuous care of historic buildings and neighborhoods.